We bring forth a wide range of Spirit Closures for our clients owing to their requirements. We manufacture closures using premium quality raw material procured from demanding vendors in the market. We offer these closures in various sizes and colors at affordable rates. Our highly qualified professionals ensures the quality and strength of closures supervising keenly. Our closures are appreciated in the market for their promising features and impeccable quality. Our entire collection is manufactured by a creative and skilled team of designers as per international quality standards. To meet the specific preferences of our valued clients, we provide perfect customization facility as per their exact choices of 28/22 mm ROPP Caps. The caps are available in various shapes and sizes within best quality of fabrics which help in meeting the variegated demands of our customers in efficient manner and customization is done according to demand of the clients with on time deliveries. Aluminum Distilleries Caps Being a patron based enterprise, all our efforts are directed towards achieving the optimum satisfaction of the clients. Our entire collection is manufactured by a creative and skilled team of designers as per international quality standards to meet the specific preferences of our valued clients according to their demand. The caps are in sizes of 30/60 mm,31.5/60 mm, 31/44 mm, 28/44 mm, 28/38 mm, 30/35 mm and 30/44 mm and the liner options ranges from EPE, EPE with Saranex, EPE with tin Saranex as per demand of our clients. Our company is perfectly skilled in manufacturing high class Distilleries Caps with the best quality materials provided by our very reliable vendors in the market. We are very well known in the market for our fine quality and on time deliveries within affordable prices. We provide this caps in sizes like 30/60 mm, 31.5/60 mm, 31/44 mm, 28/44 mm, 28/38 mm, 30/35 mm and 30/44 mm and also as per customization of clients. 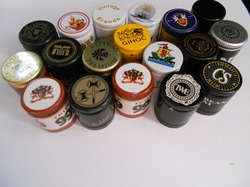 Our valued clients can avail from us a magnificently designed collection of whiskey caps capable of meeting specific demands and satisfaction of clients. These caps are manufactured by making use of high-grade basic material and advent technology by our skilled work force. They can be attained in different shapes and sizes like 30/60 mm, 31.5/60 mm, 31/44 mm, 28/44 mm, 28/38 mm, 30/35 mm and 30/44 mm and many others with on time deliveries. 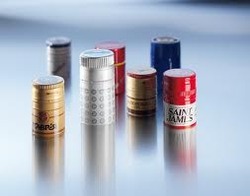 Our company is one of the best Bottle Caps 30 X 35 mm Long manufacturers in the state with high degree of reliability and guaranteed goods manufactured by using superb quality raw materials in affordable prices. These caps are manufactured in sizes like 30/60 mm, 31.5/60 mm, 28/44 mm, 28/38 mm, 30/35 mm and 30/44 mm and others in accordance with the demand of clients. 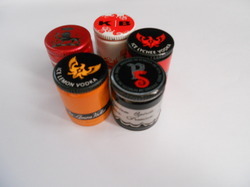 Leveraging on our experienced professionals, we are able to offer an incomparable range of 28/22 mm Aluminum Bottle Caps. 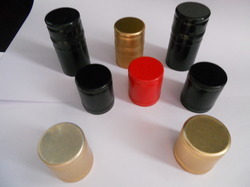 The range of bottle caps is available in a variety of designs and in sizes of 30/60 mm, 31.5/60 mm, 31/44 mm, 28/44 mm, 28/38 , 30/35 mm and 30/44 mm so that we can efficiently cater to the variegated requirements of our customers. 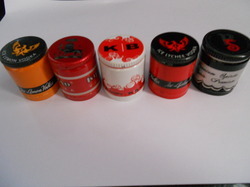 Moreover, these caps are designed to perfection and further capture attention of clients with slime less fine-finish and long lasting feature. We are top class manufacturer, supplier and exporter of Steel caps, we offer a wide range of Steel caps in multiple sizes and the liner options ranges from EPE, EPE with Saranex, EPE with tin Saranex. We manufacture our products following industry guidelines, with a perfect blend of quality raw materials sourced from trust worthy vendors of the market. Keeping in sync with the times, we are engaged in manufacturing, supplying and exporting Spirit Closures. 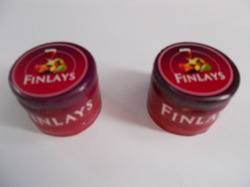 These caps are ideally used for closing spirits in distilleries, all these caps comply with the norms and standards already set by the industry. While manufacturing these spirit closures, our professionals make use of high grade material and employ latest machines, at our sound infrastructure. 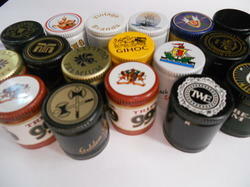 To meet the specif requirements of the clients, we also offer these caps in customized range. Looking for Spirit Closures ?